This striking, large wall piece is bold enough to be placed by itself or displayed as part of a larger grouping. 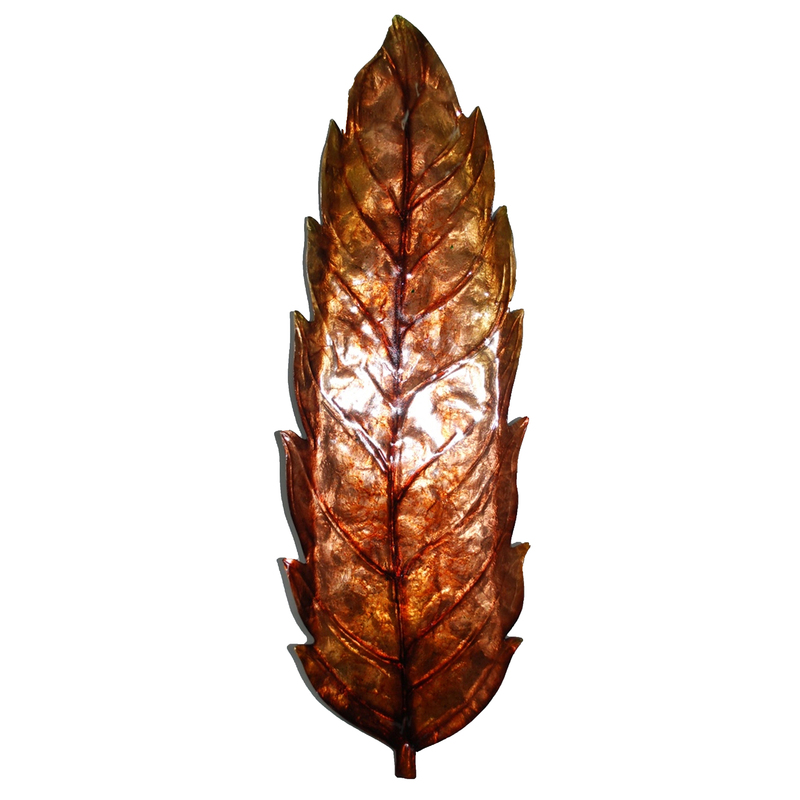 The gleaming capiz shell reflects beams of the leaf's color, making this piece even more eye catching. The artisans were careful to accentuate the leaf's details not only by using the shell and color, but also by the detail in the shaping of the metalwork. 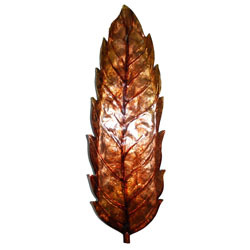 The Wall Leaf is a beautiful piece and an excellent addition to any space. The basic frame of the wall leaf is created using tin, which is powder coated with a black finish. Capiz is an oyster shell and the primary purpose of the oyster is as a source of food. However, the by-product, the shell, can be used for decoration. Due to it being a natural material, the natural colors of the capiz can come through as tans and browns underneath the paint. The shell is then painted the bold colors you see.